Guys! Rosemarked. Is. Incredible. A review is soon to come, but in the meantime, I have GOT to show you guys the wonderful array of goodies I received from the author in the mail. Not only did these items make the book even more immersive, they kind of made me want to start a garden/become an apothecary. Let’s begin. Now we got some lovey paper goods. Not only did I get signatures and book plates galore, I also got an ADORABLE set of character bookmarks. Seriously, have you guys seen anything this cute, like, ever? These two items were spectacular. 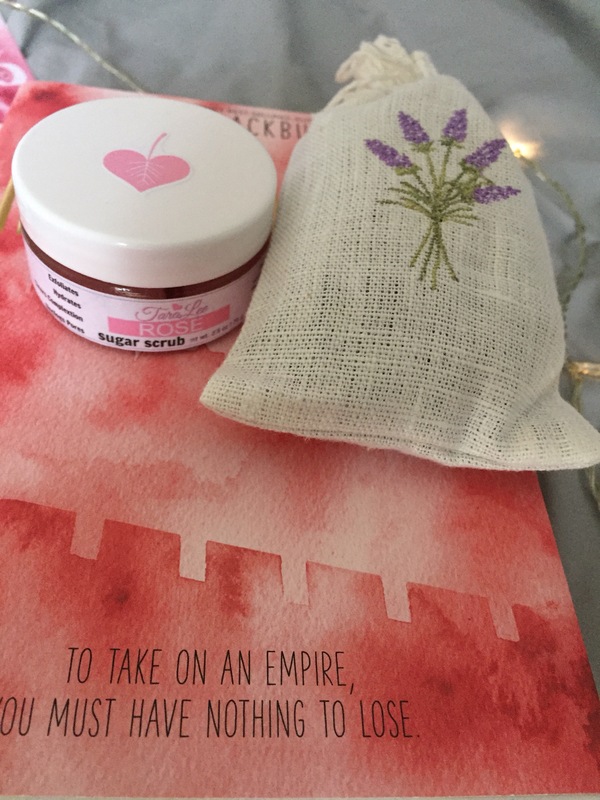 A rose based body scrub was a very real way to incorporate the flower/herb based themes of the book into your life. It was very immersive, and made me feel like I was scrubbing at the scars of the poor rosemarked victims. Then, I also received a lavender packet. Which, made me realize, I ADORE lavender, and somehow had forgotten. I tied this to the head of my bed, where it resides and helps lull me to sleep. TBH–this item is my favorite. 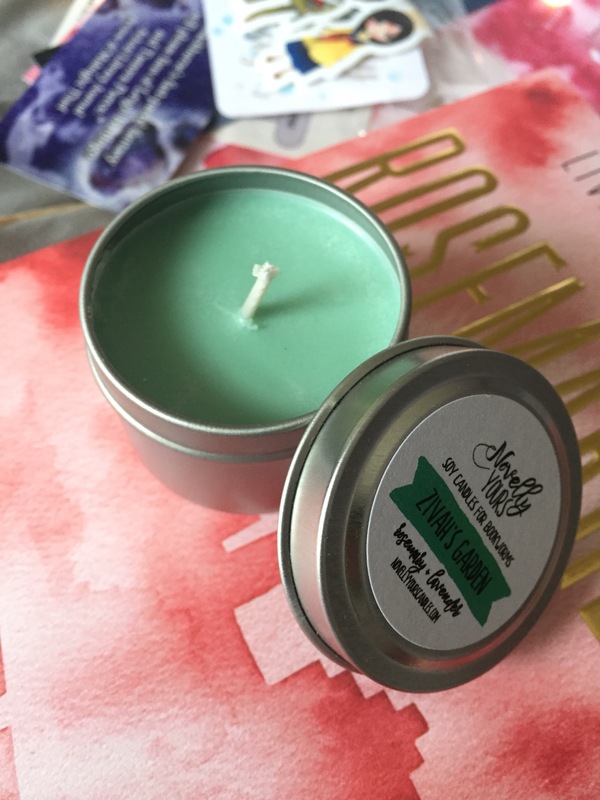 I already LOVE book themed candles, but this one is spectacular. It smells like a fresh garden, and it so immersive to the book. I really cannot stress enough how GREAT I think this candle in. It made me so excited to read the book. 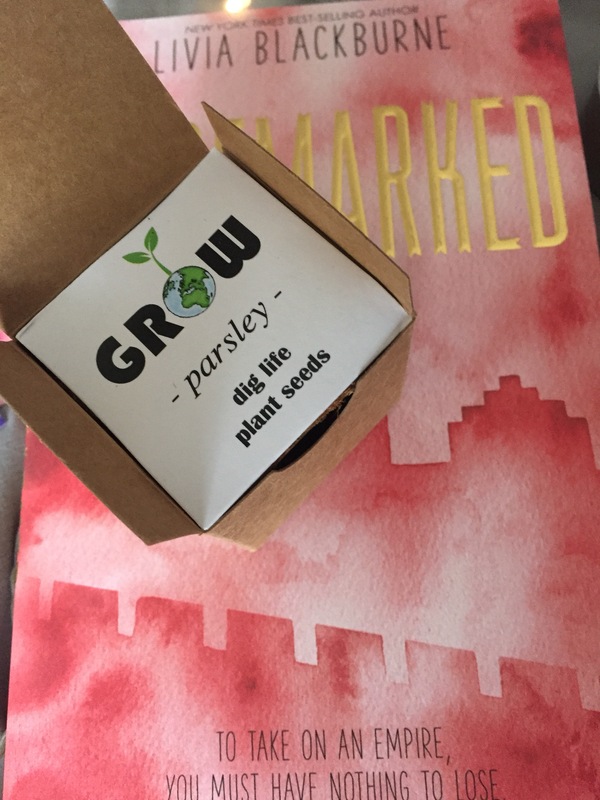 And to conclude: the beginning of my new garden–an adorable little parsley growing kit. I haven’t planted it yet, but am itching to. I love how compact the kit is–it includes literally everything you need to start growing the plant! This is the beginning to my career as a “healer,” to follow in Rosemarked footsteps. Next I just need a super cool snake friend. In all seriousness–I am ADORING Rosemarked, and will have a full review of the book up asap. The aesthetic, the style, the plot… It is all fantastic! If you like the items you saw in the unboxing, you will adore this book.